Don’t go to Lynda.com and click on the Sign In button like a normal paying user. Instead, visit go.osu.edu/lyndacml, to be prompted for your CML card number and PIN. I have shortened the link above so it’s easy to memorize, but you can also get to this login portal by visiting the Columbus Metropolitan Library homepage. From there, click on Research Tools > Research Tools A-Z and find Lynda.com from the chart. From this research tools page, you can see many other products you have free access to with your CML membership, such as legal forms, Consumer Reports, and Mango Languages. How is this useful for instructors? You can have your students sign up for their own free Lynda.com accounts and assign them certain videos, courses, or chapters to watch. For instance, I may be a design instructor teaching concepts of design but not wanting to spend precious class time giving everyone a tutorial on how to use Illustrator. I could assign them to watch certain tutorials in Lynda.com and practice with Illustrator (using exercise files provided by Lynda.com) outside of class. Or imagine for a moment that I’m a chemistry instructor who doesn’t necessarily want to teach students Excel, but provide resources for those who need to supplement their knowledge in the program in order to create graphs for their lab reports. I could provide links to tutorials that would give them a basic introduction and understanding of the parts of the program they would need to know for my class. Lastly, imagine I’m teaching computer programing. I could assign tutorials on basic programming languages for students to work on outside of class, then discuss any questions or move on to more advanced topics during our class time together. Classroom examples aside, I just saw there’s now an entire category of tutorials dedicated to education and eLearning. Canvas tips, anyone? How is this useful for staff? As staff, I could take advantage of the many professional development courses offered on communication, management, and project management. If I’m training new hires, I may be able to assign them some of these tutorials or help them build their knowledge in relevant software programs. I could even start a “book club” based on a relevant tutorial topic, chapter, or course for my work group. Some of the things I’ve personally loved learning more about have been search engine optimization, 3D printing, and digital media. Students often build their own digital content for student orgs, personal portfolios, or even just personal interest. Lynda.com is a great way to learn various software, programming languages, and marketing practices at your own pace. In preparing for your job search, there are plenty of business and management tutorials here that will give you the right vocabulary and mindset to speak intelligently at your interview and hit the ground running when you land that full-time job out of college. Or maybe those plans are years away, and you’re just looking to pick up some productivity and time management tips to organize your life better. Why not just use YouTube or other internet tutorials that are already free? I could, and I still do sometimes. 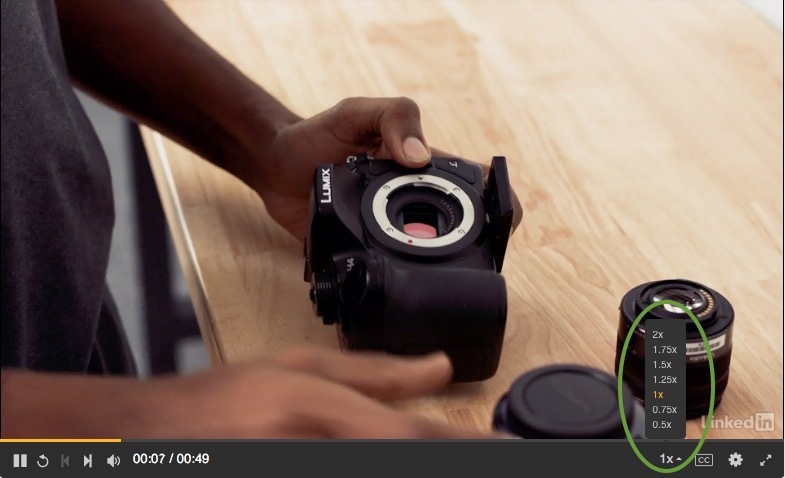 What I like about lynda.com is that tutorials are organized into courses so there’s a logical way to go through the content. More advanced tutorials in a course will refer back to earlier tutorials in case I need a refresher or to look back at perquisite knowledge. The tutorials are all professionally created to deliver information concisely. In most YouTube tutorials, there’s a ton of unnecessary yammer before I see useful content. With Lynda.com, if the speaker isn’t moving quickly enough, I can play it at up to 2x speed. Finally, every tutorial comes with a transcript, which means you can assign content knowing you’re in compliance with OSU web accessibility standards. Personally, I love this feature because I can skim the entire transcript to see if the video I’m about to watch actually discusses the topic I need to learn. I can even (ctrl/cmd+F) search for key words then click on that portion of the transcript to start playing the video from that point. 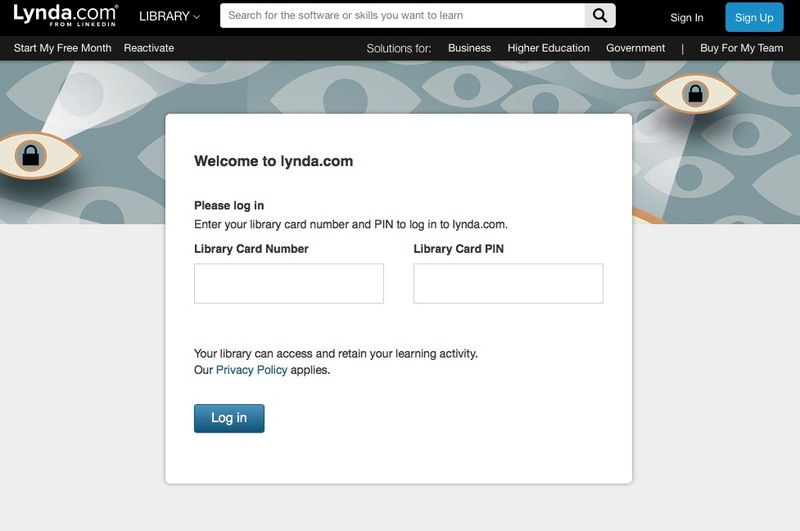 Access to Lynda.com is facilitated by Columbus Metropolitan Library. 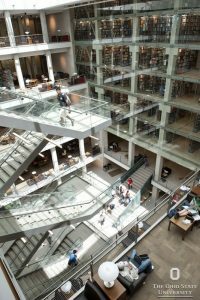 Contact the Library directly if you have issues with access. For assistance finding content on Lynda.com or with any technical issues using the tutorials, contact Lynda.com support. *Updated 5/4/18: clarified CML membership sign-up process, included section on benefits for students, adjusted title. *Updated 5/15/18: added contact information for support. Posted by Queenie Chow at 3:32pm May 15, 2018 Posted in Distance Education & eLearning, Leadership & Professional Development, Tech Tips and tagged instructional technology, online tutorials, self-guided learning. Bookmark the permalink.